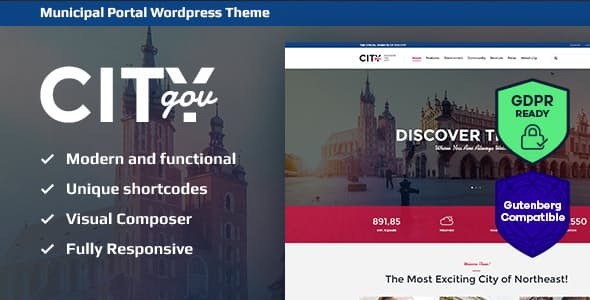 City Government, with its beautiful modern & functional WordPress design, is an ideal Theme for a local government website, government departments or agencies and municipal portal. 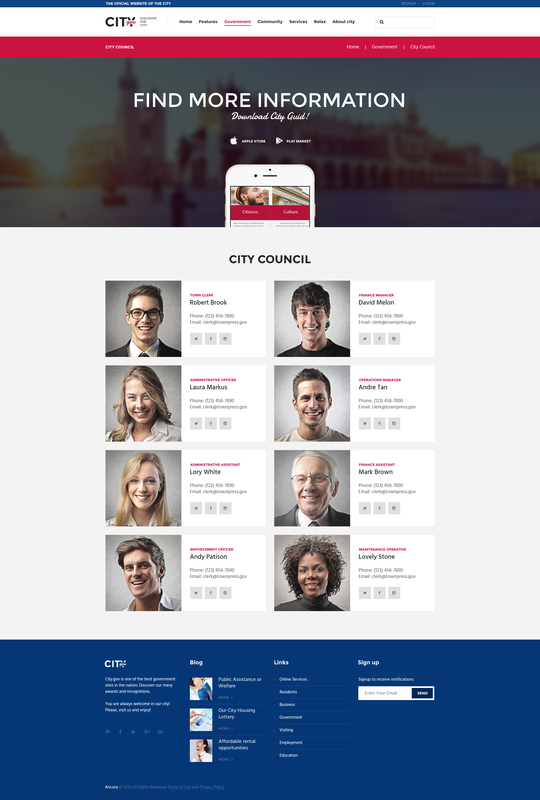 The theme has lots of customizable features for showcasing all the basic needs of a modern municipality. It makes it interesting for cities, small towns or villages. Also It is compatible with all modern mobile devices. We’ve integrated the theme with a powerful ThemeRex Donations Plugin for your fundraising campaigns or charitable trusts. City Government is compatible with cool premium plug-ins: Revolution Slider, Essential Grid and WPBakery Page Builder. They allow building bright and creative pages and integrate them with awesome features. Furthermore, the theme is fully responsive and 100% Retina and SEO ready. Fully supported with detailed documentation, City Government is a perfect solution to create a website for any kind of municipal or government portal. - WPBakery Page Builder is updated to its latest version.